Business VoIP solutions on the FirstCoast ! From Ponte Vedra to Baldwin and from Fernandina to St. Augustine Hosted VoIP Jacksonville, a service of TelcoSolutions, has provided dozens of businesses the VoIP business phone systems that put their businesses on the cutting edge of today’s voice technology. As an independent, authorized dealer for dozens of the top business VoIP providers we can save your firm time, effort and most of all money when it comes to the Hosted VoIP market regardless of the size or sophistication of your business anywhere in the Jacksonville-FirstCoast area. 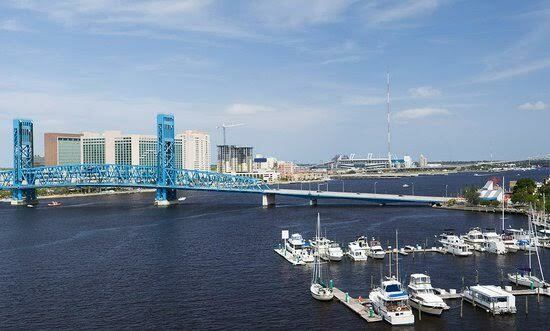 Hosted VoIP Jacksonville brought to you by TelcoSolutions…Florida’s #1 business VoIP telecom provider for over 15 years ! At Hosted VoIP Jacksonville, a service of TelcoSolutions, we can access over a dozen Business VoIP providers, give you critical advice on hardware & bandwidth and project manage the entire install with our time tested turnkey process. We can count over 5,000 happy customers throughout the Southeast and if there is a VoIP solution to be installed… we have installed it !! Hosted VoIP Jacksonville is a service of TelcoSolutions, one of the oldest independent telecom dealer consultancies on the east coast based in Atlanta, GA.
​We represent over 100+ business voice and internet carriers nationally including over a dozen of the leading Hosted VoIP carriers. Our five senior consultant partners also have over 100 years of combined experience in the business VoIP services sector and work with 100+ partner companies & 5,000 existing customers throughout the U.S & North America.